A dental mouth guard, also known as a night guard, is a dental appliance for people who have the habit of grinding their teeth. Constant teeth grinding can affect oral health, and a dental mouth guard protects the wearer from that. 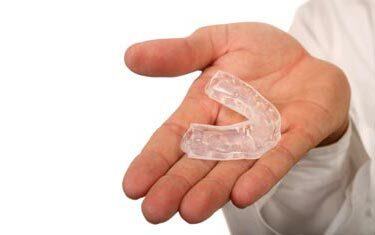 Pro Teeth Guard provides professionally made, custom dental mouth guards at an affordable price. To find out more about how it works, please see our explanation video here. The following article will answer all your questions about teeth grinding and dental mouth guards. Who Needs a Dental Mouth Guard? Many people occasionally find themselves grinding their teeth, but the problem becomes serious when this starts occurring on a regular basis. Medically, teeth grinding is called “Bruxism” and causes many teeth related complications. Most people grind their teeth in their sleep and stress could be a major cause of it. Since most individuals are asleep when they grind their teeth, they are never aware that they are actually doing it. However, a telltale sign is a continuous and dull throbbing headache accompanied by pain in the jaw because of grinding. Sometimes, people who sleep near you might tell you that you grind your teeth in your sleep. Usually, if the above symptoms are noticed, it is best to see a dentist because your dentist would be able to inspect your teeth and jaw and would tell you if you have any signs of bruxism. Severe bruxism can damage the teeth badly and wear them down. You might have to get implants, crowns, bridges, root canals, and even full dentures to sort out the problem. Sometimes, it can even lead to fractures. The more severe effects of bruxism include hearing loss, TMJ/TMD, and sever pain in the jaws. The best option is to get dental mouth guard to treat teeth grinding in your sleep. Although the night guard may not stop your teeth grinding habit, it will effectively protect your teeth from the damage that constant grinding can cause. A mouth guard can be used to protect the teeth from grinding. Usually, the mouth guard covers the top teeth but for people who wear dental appliances on their upper teeth, the mouth guard can also be created for the lower teeth. The ideal mouth guard should feel comfortable when you are wearing it, and it should not restrict the movement of your mouth or your speech in any way. This is why you should get a custom made mouth guard. While off-the-shelf dental night guards are cheap, they are bulky and they do not offer the best fit and protection. To create a custom night guard, your dentist will set up an appointment with you and take an impression of your teeth. The impression is then used to custom fabricate a night guard just for you. Obviously, you will have to pay a bit more for this custom guard, but it is more comfortable and will be more effective than other options as it fits your mouth properly. Normal mouth guards can be purchased from sports shops and are relatively cheap. However, over-the-counter mouth guards do not provide the best protection. To get a custom made dental mouth guard, you can consult your dentist. Alternatively, Pro Teeth Guard offers you a way to order a custom mouth guard online directly from the source and save hundreds of dollars. P.S. : At ProTeethGuard.com we're commited to your complete comfort and satisfaction. All purchases are covered by our 110% Money Back Guarantee.